According to SuperData Research people spent US$91,000,000,000 on games. Billion… This is an all-time record. But, they are hyping things a bit. In 2015 Statistica shows $91.5 billion spent and $99.6 billion in 2016. I suppose it depends on where one gets their numbers and categorizes them. Game revenue is notoriously flaky as companies like to hype their increasing sales and keep decreases secret. They break the revenue down into subcategories. Handheld games are dying. Smartphone games are the hot item. They show the largest growth from 2015 to 2016 and that is expected to continue, which seems reasonable as smartphones are selling well. August 2, 2016 Nvidia released their top of the line video card the Titan-X. There is a previous generation Titan-X. To distinguish between the previous gen and the current generation we have to include the architecture descriptor; Maxwell (previous) or Pascal (new). How much faster is this Titan-X Pascal than the previous one? Almost twice as fast. Posted in General Computer Stuff, Hardware, nVidia. Tagged nVidia. There is debate in the SL Forum as to which video card is a better choice for Second Life™. I’ll try to provide the information needed to make a decision. But, I don’t see a deal maker or breaker that would pull the choice to any one card. Also there are no good benchmarks, yet, of which new cards work best with Second Life. The following benchmark tests show the cards’ performance are very dependent on how the game is designed. Posted in General Computer Stuff, Hardware, nVidia. Tagged Hardware, Video Cards. 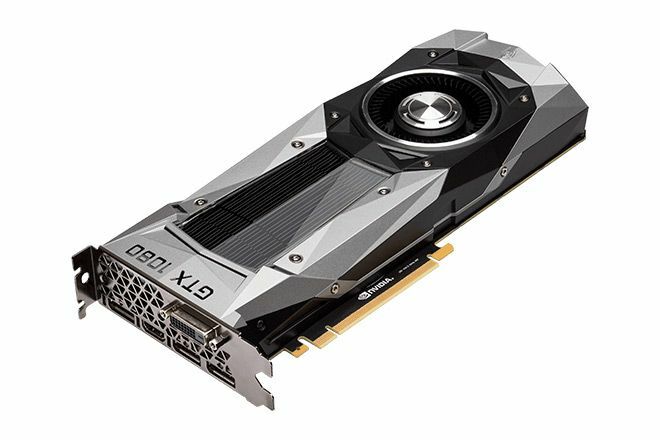 May 7th NVIDIA released two new video cards; GTX 1080 and GTX 1070. The 1080 seems to be the most impressive card going, at least for the moment. Posted in nVidia. Tagged GTX1080, nVidia. I came across a link to this article in the SL Forum: NVIDIA, AMD, Intel Explain How OpenGL Can Unlock 15x Performance Gains. That means if you are getting 20 FPS you should jump to 300 FPS. Posted in General Computer Stuff, nVidia.